Hard to find and unique, our 14k solid rose gold men's bracelets are fully solid, authentic rose gold bracelets. Each piece is handmade to order, not machine made, to achieve the highest quality jewelry. 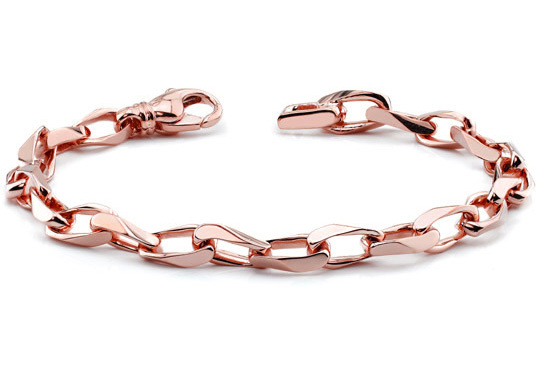 Our men's 14k solid rose gold angled design link bracelet is truly one of a kind! Also available in 14k white gold or 14k yellow gold, shown below. We guarantee our Men's 14K Rose Gold Angular Link Bracelet to be high quality, authentic jewelry, as described above.